Dr. Asha Goud graduated from the University of Missouri - Kansas City School of Medicine and did her internship at the Arrowhead Regional Medical Center. She pursued her residency program at the University of California, Irvine and is both specialized and board certified in Diagnostic Radiology. 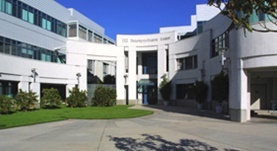 Dr. Goud has been in practice for more than 6 years and is affiliated with the University of California Irvine Medical Center. During her career, she has also contributed to three clinical research publications. Dr. Asha Goud has contributed to 3 publications. Structured Physician Order Entry for Trauma CT: Value in Improving Clinical Information Transfer and Billing Efficiency. Wortman, J. R.,Goud, A.,Raja, A. S.,Marchello, D.,Sodickson, A.; AJR Am J Roentgenol. 2014 Nov 22. Boyd, Z. T., Goud, A. R., Lowe, L. H., Shao, L.; Pediatr Radiol. 2009 Jul. Isolated filar cyst on lumbar spine sonography in infants: a case-control study. Irani, N., Goud, A. R., Lowe, L. H.; Pediatr Radiol. 2006 Dec.